Couples do not generally get married anticipating divorce, but this possibility is still present, and could justify the creation of a prenuptial agreement. Prenuptial agreements outline which assets a spouse would be entitled to keep or receive, the liabilities each side would agree to assume, and the payment of alimony. While negotiating the terms of these arrangements do not typically have the level of contention seen with a divorce settlement, it can still present opportunity for dispute, especially if one party is against separating finances. Traditionally, prenuptial agreements are negotiated between the attorneys retained by each prospective spouse, with little involvement between the couple. An alternative to this approach that requires a more hands-on commitment to forming an agreement is the collaborative process. This non-adversarial process for settling legal issues can be used in a number of arenas, but is particularly beneficial in family law matters because it is designed to help facilitate communication, a key issue when related parties are facing each other. A discussion of how the collaborative process can help to create a workable and fair prenuptial agreement will follow below. Especially at the beginning of a marriage, doing everything possible to minimize conflict and resentment is a best way to help the couple succeed long-term. The collaborative process has the parties directly create and agree to their own terms in an atmosphere that promotes cooperation and good faith in an attempt to develop an arrangement that works for everyone. Further, both sides agree to voluntarily share all pertinent financial information, a commitment that should promote trust between the couple, an essential ingredient for a successful marriage. Further, by allowing the couple to take control of the process, the terms can best reflect the love and caring they share, rather than expectations of legal counsel or other outside third parties. 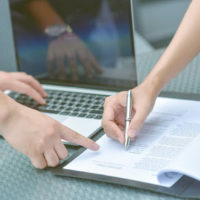 Nevertheless, collaborative attorneys are specially trained to help their clients maintain a cooperative approach, which would change how they counsel clients to proceed. Further, collaborative attorneys can help to clarify a couple’s aims and concerns, so they are adequately addressed and not left to cause problems in the future. The point of prenuptial agreements is to settle key issues ahead of divorce in hopes of simplifying dissolution, and making the transition post-marriage easier. By creating the groundwork for a non-adversarial approach to dispute resolution at the outset of the marriage, if later difficulties do arise, and divorce becomes a possibility, couples will have a much easier time returning to the collaborative process to work out unresolved issues in a private and civil manner. This inclination is important for negotiating child-related issues, as parents will always have some connection, and need to know how to work together for the child’s sake. The collaborative process will also mean a less expensive and faster divorce, allowing the parties to use that money and time to better transition to being single adults. Family law disputes inherently involve a lot of emotion and the potential for irreparably damaging relationships. Instead of promoting this outcome through traditional litigation, explore the non-adversarial process of collaborative divorce to amicably settle your problems. The attorneys at the Orlando law firm of Goodblatt ∙ Leo have years of experience helping clients use this process, and can advise you on its appropriateness for your case. Contact us at (407) 228-7007 for a consultation.